The officer who was killed in Thousand Oaks told his wife he loved her before running in to confront the gunman at the Borderline Bar and Grill Wednesday night. Sgt. Ron Helus, a 29-year veteran of the Ventura County Sheriff's Office, was speaking his wife on the phone "as he does several times during the shift, and said to her, 'Hey, I got to go handle a call, I love you,'" Ventura County Sheriff Geoff Dean said during a press conference Thursday morning. Helus is survived by his wife and son. 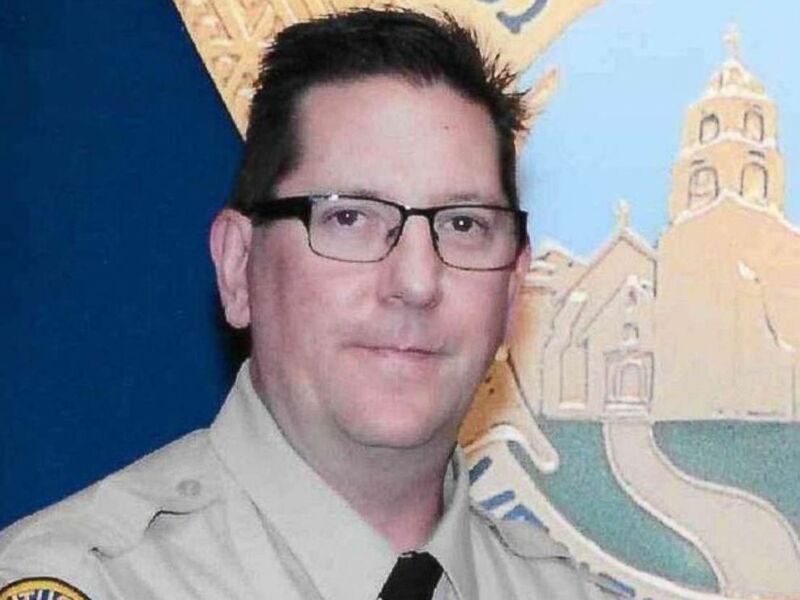 The sheriff's department and the wider community are mourning the "hero" officer today, who was one of the 12 people killed in the mass shooting in Southern California. "He was a great man," Capt. Garo Kuredjian, the force's public Information officer, told "Good Morning America" Thursday. "He was a cop’s cop, and we miss him. We miss him already and we’re in mourning as an agency. We’re in mourning as a community." 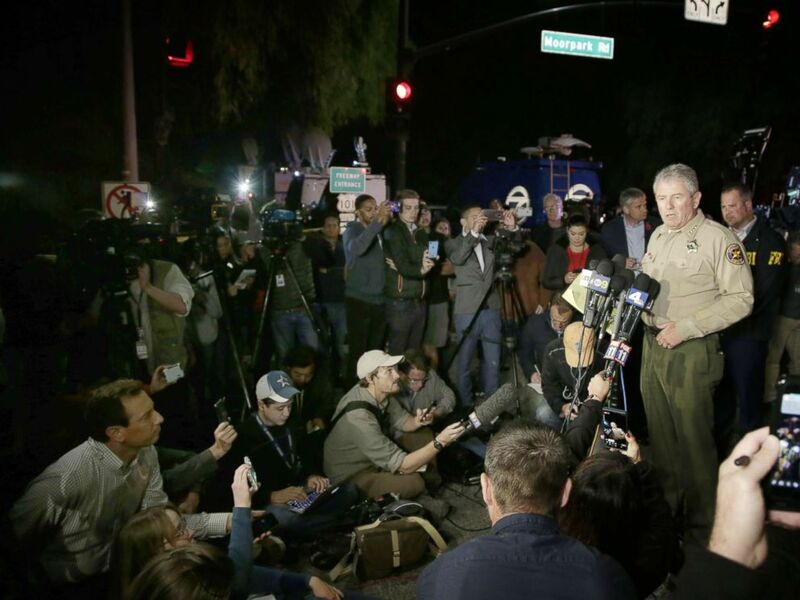 Ventura County Geoff Dean addresses the media about the shooting at the Borderline Bar and Grill in Thousand Oaks, Calif., Nov. 8, 2018. Immediately following Helus' death, Dean held back tears as he remembered Helus during a press conference, ABC-owned station KABC reported. Helus was one of the first on the scene and was struck multiple times when he went through the front door, the sheriff's office said. Dean said Helus undoubtedly saved lives by going in to confront the gunman. "Ron was a hardworking, dedicated sheriff's sergeant," Dean said, according to KABC. "He was totally committed. He gave his all and tonight, as I told his wife, he died a hero because he went in to save lives, to save other people," Dean added. "Sgt. Helus will be transported via motorcade from Los Robles Hospital to westbound Janss Road," the department said in a statement. "From there, the motorcade will travel southbound on Lynn Road to US 101 northbound to the Ventura County Medical Examiner’s Office in the city of Ventura." "Ron’s selfless, heroic actions will never be forgotten. Our hearts go out to his family and friends during this difficult time," the department added.